Do you love shoes? I certainly do! I'm often asked: "how do I choose shoes?". Since the right shoes add that perfect finishing touch to an outfit it's useful to understand how to buy shoes that flatter you. Oh, and I could add: that are comfortable! That would certainly be one of my criteria for how to buy shoes and from the many emails I get asking where to find comfortable womens fashion shoes, I know I'm not the only one. However, that may not be one of your top concerns. 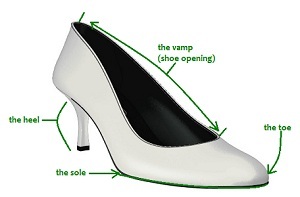 The vamp -- this is the opening where the foot goes into the shoe. Straps that come higher up the foot typically give the effect of a high vamp. Shoe boots and ankle boots are classed as high vamp shoes. A lower vamp makes your legs look longer and your foot slimmer. The toe -- can be open, closed or peep-toe and varies in shape. Closed shoes are typically seen as more formal than open-toed shoes (with the exception of evening wear) and are always suitable for work. The heel -- heel heights vary from flat to ultra high. Heel styles vary from skinny, such as stillettos, through chunky, stacked styles to a wedge, which is the most supportive to the foot. Thicker heels make the shoe look heavier. The sole -- varies from thin to platform. The thicker the sole, the heavier it appears. The balanced body is the perfect vertical proportion. The aim of the person with this vertical body shape is to keep their vertical shape looking balanced. For example, if you have a balanced body and are very slim your best shoes will not be ultra-high heels. The aim for the other 2 proportions is to give the illusion of a balanced body by making proportionally long legs look shorter and proportionally short legs look longer. The toe -- the longer and more pointed the toe the longer and slimmer your legs will look. However, long, slim toes also make your foot look larger. Conversely, to make your legs look shorter, wear flat shoes, with a high vamp, rounded or broad-square toes and thin soles, in eye catching colors. If your calves, ankles and/or thighs are chunkier your best shoes will not be too exteme. That is, not too delicate looking, or too heavy looking, since either of these looks will bring attention to the thickness of your legs. For example, a medium width stack or column heel will work better than a stiletto or kitten heel. The toe shape of a shoe will affect the perceived length and width of your foot and can make your feet and legs look longer and slimmer or shorter and fatter. Round toes, such as Mary-Jane styles will make your feet look wider and your legs shorter. Pointed toes will make your feet look longer and slimmer. Current fashion trends give much broader option than just choosing shoes to match the color and style of your handbag. If your style personality is Classic you may still favor this look, but beware it can be seen as too matchy-matchy and boring! Form and function -- if you need to do a lot of walking that might rule out killer heels! Level of formality of the occasion. Heeled pumps are a classic choice and always appropriate for office work. Funky sandals or boots are more appropriate for a weekend lunch with friends. As with clothes, you'll like your shoe choices best if the style of shoes you buy suits your personal style. For example, if your main personal style is Classic you might like a black, mid-heeled pump. If your main style is dramatic, you might like a pair of ultra high, platform, peep-toe shoes is the latest bright fashion color, or in a snake skin print. Stand up and walk around in the shop to make sure the shoes are comfortable. If the upper part of the shoe is leather they will stretch a bit. Shoes may rub a bit until you've worn them in, but if they're uncomfortable in the shop, don't buy them! Want to Know More About How to Buy Shoes? For more help with how to buy shoes, including lots of lovely photos showing examples, on how to choose your best shoes (and to learn a lot more about all types of accessorizing) I recommend "The Finishing Touch" ebook by Imogen Lamport. Imogen also gives guidelines for how to choose the different shoe types for a shoe wardrobe so you always have appropriate footwear. Custom Made Shoes -- are you having difficulty finding the right shoes? If so, it's worth considering custom shoes. 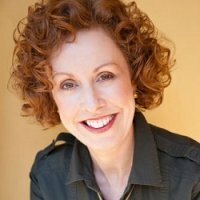 The Magic of Accessorizing -- do you know these 3 key accessorizing tips to keep your look stylish and contemporary?